The Slashdot Effect isn’t what it used to be (or maybe I’m not terribly interesting…possible). This blog was linked to from the beginning of an article a couple days ago. On Thursday, this blog had 178 views. On January 26, 2009, we had 7,120 views, which is the highest number recorded since I switched to WordPress and my stats were reset, mostly because StumbleUpon listed this post. Before that, back in 2008 we had more than 20,000 visitors in one day when I posted this. This is one of several atypical educational books that use graphic art to help teach difficult concepts or illustrate the action and another wonderful entry in the “Manga Guide to…” series that I have been reviewing. I keep requesting review copies of each title in the series as they come out, and I have yet to be disappointed. This is an impressive series that consistently makes very difficult academic topics more interesting and a little easier for students. I would not consider these a replacement for a textbook, and neither would the publishers of the series, but every book that I have reviewed from the series would make an excellent supplement, especially for the struggling student. The Manga Guide to Physiology tackles all of the main points of a typical Physiology 101 course that might be taken by a college freshman. It does so with clarity, with precision, and surrounds the academic details with an enjoyable narrative that makes the information much easier to absorb. In fact, I would go so far as to say the story makes the subject matter move from difficult, but interesting, to enjoyable. This is done by giving a context to the subject matter that the reader can relate to. Kumiko Karada is a freshman nursing student who is struggling. She is failing her physiology class and has one chance to pass. She must do exceptionally well on a makeup exam. This is a daunting task, made easier with the help of Osamu Kaisei, an assistant professor in the Department of Sports and Health Medicine. It turns out that Osamu is also a gifted teacher who is preparing his course syllabus and materials for the same class that Kumiko is failing. The two work together to help Kumiko learn what she needs to know. Topics covered in the book include all the main systems: circulatory, respiratory, digestive, kidneys and renal, the brain and nervous, musculoskeletal, endocrine, and also details like body fluids, cells, genes, and reproduction. The information is accurate, up-to-date, and clearly presented. The topics are first introduced within the narrative, but gaps and additional details are added at the end of each chapter. The chapters are each based on a specific system. Studying physiology? This book won’t replace your textbook and doing your homework, but it has a very strong chance of helping you overcome the fear and intimidation that are often associated with these complex topics. Like the other titles in this series, I recommend this book highly. It was the Fall of 1988. I was a freshman at the University of Arizona. One of my classes was honors calculus. My professor, whose name is long forgotten, included in the course a new computer program called Mathematica. I remember, both because it was interesting and new and because it required me to purchase an additional book for the course. The book had a black cover, white text, and a colorful image that I can’t quite recall. The author of that program and book was Stephen Wolfram, the same person who has written An Elementary Introduction to the Wolfram Language and the language that the book introduces. It is interesting, more than 25 years later, to revisit the thinking style of Mr. Wolfram. The Wolfram Language is a computer language. It gives you a way to communicate with computers, in particular so you can tell them what to do. The remaining 300+ pages of the book are this clearly written. The book starts with that basic sentence and requires no prior knowledge…with one glaring exception. The exception is this: the book never tells you how to install or otherwise access and use the Wolfram Language. This seems like a major failure to me. What editor should you use, if any? Does the language need to be compiled? Oh, wait, it seems there is something called the Wolfram Programming Lab and other interactive Wolfram Language environments, but without pouring over a set of links under Other Resources at the end of the introduction before the start of Chapter 1, you would never be able to find any of these. To make my readers’ lives a little bit easier, start here: https://www.wolfram.com/language/. When I say easier, that is by degrees. You will still have to sign up for a Wolfram ID to start using the Wolfram Development Platform, accessible from the link above. The FAQ on the site says, “The Wolfram Engine runs on desktop, cloud and mobile. Its kernel runs on Intel and ARM architectures, under Linux, Mac and Windows, as well as soon under iOS and Android, and certain embedded operating systems. Its interactive user interface runs natively on Mac, Windows and Linux, and is also supported on web browsers.” However, I did not find any quick reference or obvious links for doing so. Disclosure: I assume the information must be in the website somewhere, I’m simply saying that I didn’t find it quickly and gave up trying because I have lots of other things vying for my time. So, there you go. I like what I can see about the language, at least as far as I can tell from the book. I did not find an easy way to try it or use it and I found myself thinking about other things before getting around to doing so. 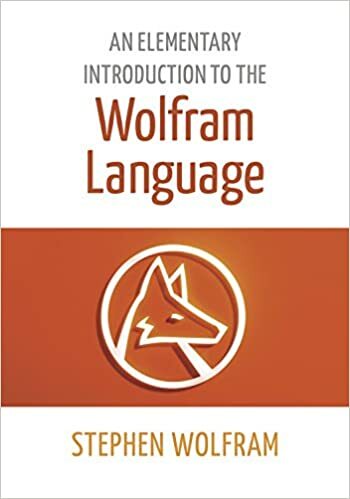 Your mileage may vary, and if you can leap that hurdle, I think this book is incredibly clear and would be beneficial to anyone trying to learn the Wolfram Language. EDIT on 12/14/2015: I received the following information from the publisher in response to this review and believe it is worth sharing. I was the sole editor and contributor of new content for Ubuntu Unleashed 2016 Edition. This book is intended for intermediate to advanced users. The Maker’s Guide to the Zombie Apocalypse is a fun book. It uses a (fictional?) story of preparation for a coming zombie invasion to weave a narrative that presents a use case for an interesting set of electronic projects. The projects are all centered on survival; specifically, the things you are likely to find most useful in a situation where the electrical grid has failed and you find yourself surrounded by hostile forces. The progression of chapter topics is logical and each build upon the previous. We start with a both fun and well-thought-out description of the problem, an overview of what a zombie apocalypse might look like. Here we learn what we are up against. Starting with chapter two, we work to mitigate against the various problems and threats to enhance our potential for survival. Included topics include generating and storing electricity, building alarms and surveillance monitors, remote access and open door detection, environmental monitoring, and then wiring it all together into a control center. Additional topics include ways to distract the attention of zombies and different forms of confusion with other survivors. This alone would make the book enjoyable and useful to anyone interested in these sorts of electronic projects. However, the book does not end here. Included are three useful appendices with information about acquiring and understanding electronic parts and tools, learning basic skills, and a primer on one of the two control modules used in projects in the book, the Arduino. The other, the Raspberry Pi, is less complicated and requires less instruction for the uses in this book. I thoroughly enjoyed this book and think that anyone with similar interest in electronics would, too. As I opened Junkyard Jam Band, the first thing I thought of was a couple of books I read in the mid-1990s by a man named Craig Anderton. I still have his books covering electronic projects for musicians and do-it-yourself projects for guitarists on my shelf, but they are a bit outdated. The connection is a positive one. I have played guitar for more than 25 years, built my own effects, and even built my own full-on tube amplifier. Junkyard Jam Band is a worthy heir to the maker-musician throne that Anderton’s books sat on for me. David Erik Nelson does a great job of mixing practical and easy projects with inspiring ideas. Here you will learn how to make some instruments in less than 5 minutes, provided you already have all of the tools and have collected the supplies you need. You will also discover some projects that will take longer, but which are useful as building blocks for larger musical ventures. I was thrilled to discover a chapter dedicated to a project that I tried more than 15 years ago, just at random. At the time, I learned that piezo pickups and piezo speakers were very similar, so I bought a $1.99 piezo speaker from Radio Shack, cut it out of its plastic case, soldered the leads to a guitar plug jack, and mounted it inside a guitar. It worked! I wish I had potted the project at the time, as it was (still is) a bit noisy, but that procedure is covered in Junkyard Jam Band with the use of Plastidip. Cool idea! No more spoilers. If you understood any of the contents of the last three paragraphs, take a look at this book. You may find it as fun and enjoyable as I have. It has also given me some ideas for projects that I must make time for soon. At first I requested a review copy of The Smart Girl’s Guide to Privacy: Practical Tips for Staying Safe Online because I wanted to see whether it would be helpful for my middle school aged daughters. As I got into the book, I found tips and tricks that were helpful to an internet savvy long-timer like me could use. The book covers topics like controlling what you share and where, keeping your personally identifying information safe, how to mitigate against data loss and cracked passwords, dealing with harassment as a female, and more. The topics range from middle school appropriate up to things that I wish more adults knew and thought about. I found the text easy to read and the tips intelligent and clear. One caveat for the more squeamish adults considering this book for their kids, read it first and make sure you are comfortable with the author’s discussion of things like dating and sexytime activities. I think the discussions are right in line with and perfect for today’s societal norms, but they may be uncomfortable for the more conservative among us. The book is a quick read, filled with useful links and information alongside the advice. I am passing it on to my girls and will probably recommend that my son read it as well, when he is a little older. I really enjoyed reading How Software Works: The Magic Behind Encryption, CGI, Search Engines, and Other Everyday Technologies. The author, V. Anton Spraul, also wrote Think Like A Programmer, which I reviewed three years ago. This book, like the older one, is not a “how-to” book in the sense of learning syntax, grammar, or other programming language-specific information. This is a conceptual book, one that explains the details of what software does algorithmically when performing tasks that seem like magic. The goal is to walk the reader through the most commonly used processes in software, but without using a single line of programming code. Granted, some of the explanations of the processes are simplified, but these high-level descriptions are clear and accurate. They will be useful to anyone who is curious and wants to understand from a conceptual level, rather than only from a language-specific detail level. This is not a book about implementation, rather one about understanding. Topics covered include encryption, passwords, web security, movie CGI and video game graphics, data compression, search, concurrency, and route mapping. While the topics are not necessarily connected in the sense that every chapter leads into another or builds on the one previous to it, all the topics covered are incredibly common things that each of us has witnessed being done on a computer. Even better, each is covered with a clear writing style and using explanations that are smooth and unladen with unnecessary jargon. Vocabulary is introduced as appropriate, but a novice could pick up the book and find the prose comprehensible and the topics presented in a way that requires no prior knowledge. I am impressed. If the topic interests you, you will enjoy and benefit from the book. I confess that I have never been deeply interested in The American Civil War. After reading this book, I’m convinced that the only reason I wasn’t interested is because of how the topic was presented to me. I am now very interested. Battle Lines: A Graphic History of the Civil War takes the history and scholarship surrounding the conflict which shaped the United States and which still has an impact on its internal politics and struggles and adds what was always missing for me: the human element. Each chapter takes an ordinary, everyday object from the era and uses that object to begin a vignette that demonstrates how the war affected real people. We are given solid history, but within a context that gives the facts meaning. As Jonathan Fetter-Vorm did with Trinity: A Graphic History of the First Atomic Bomb, a difficult and complex topic is deftly broken down into easily digestible portions along with a moving and real sense of why I as a reader should care. The artwork in the book is powerful and evocative. The narrative is cinematic. It is not hyperbole to say that I was transported into the story while reading, to the extent that I often forgot I was reading; I was so moved with emotion that more than once I found myself in tears. Combine this with the solid presentation of historical facts and I am left with a hunger to know more. For this, I say this book belongs in every school library in the country and on the shelf of anyone interested in good art, excellent storytelling, and careful scholarship.